What a delightful Italian restaurant - one imagines a nonna out the back cooking traditional Italian food and scolding those incapable of cleaning the plate. We're among them - after a sequence of fine dining, we were surprised by the scale of the food delivered. As we're out of town soon, it was impractical to get a doggy bag, but quite a bit of our fare went back to the kitchen. The menu was very appealing, with another page of daily specials. 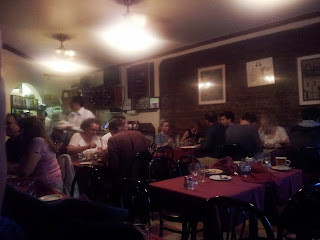 The restaurant is tiny, and after a brief wait we were directed to a window table in the corner. We started with a Venetian Volpicella and sparkling water, and a large serve of Italian bread and garlic bread. The "appetisers" were huge. 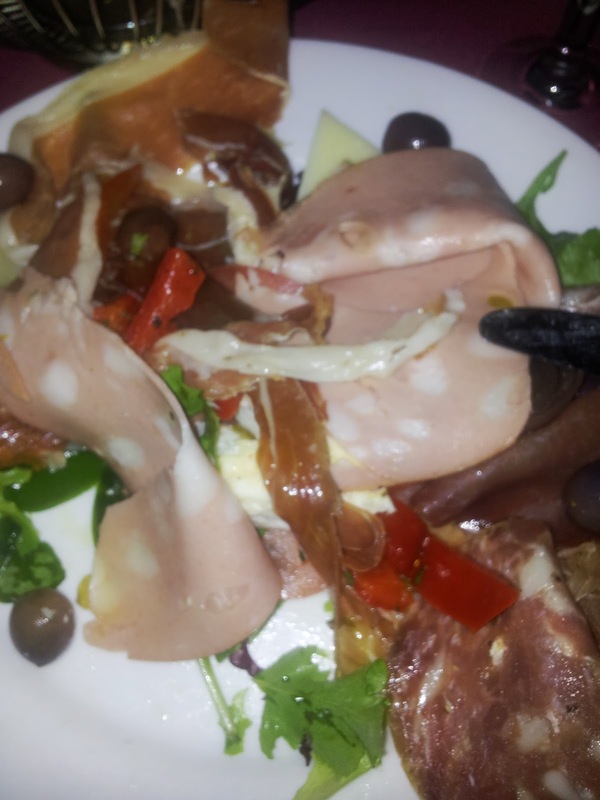 I had the Antipasti Italiano, which emerged as a full plate of meats, cheese, salad and pickled vegetables including a very nice pickled onion. 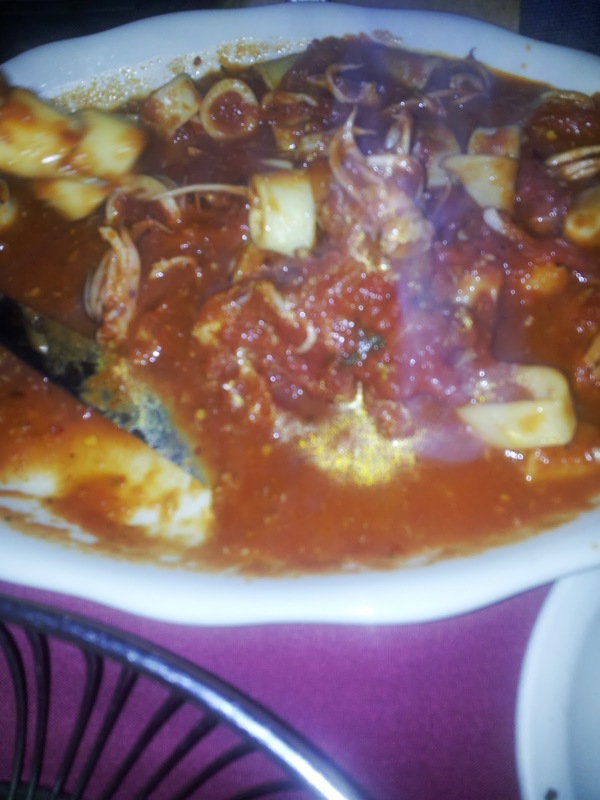 Lynda had the Calamari Fra Diavolo, squid in a spicy tomato sauce. 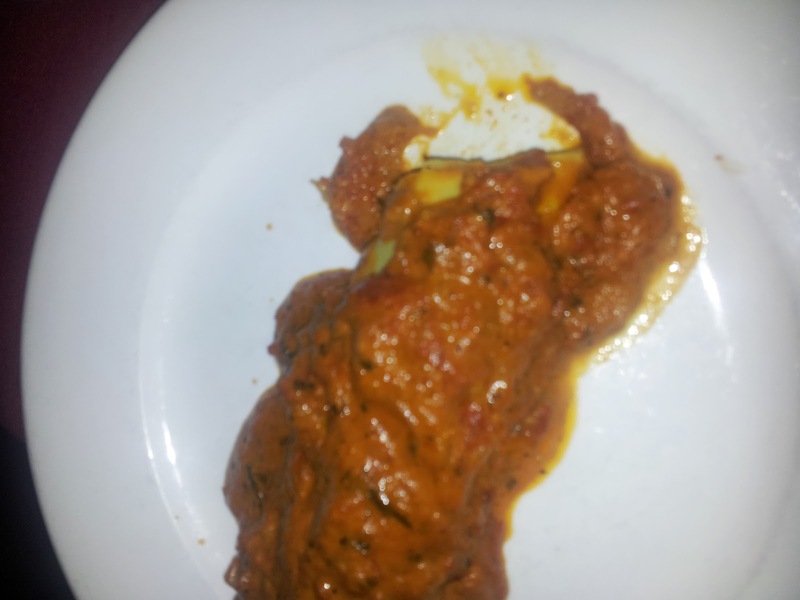 It was way too big for an appetiser. Like me, she ate about half before bailing. The main courses were - alas - even bigger. 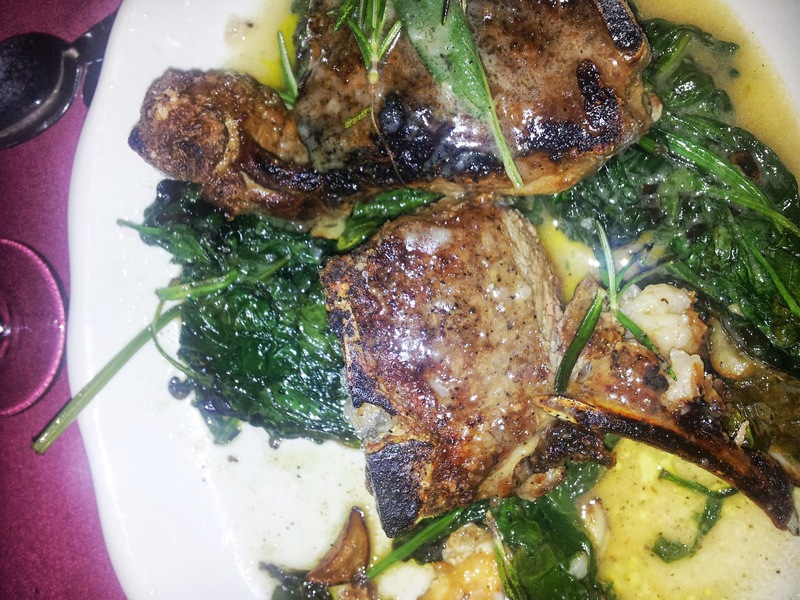 I had the lamb chops, two inch-thick meaty chops cooked to perfection and in a brandy sauce. On the side was a lobster cannelloni in a spicy putanesca sauce. Lynda went with the Chicken Fiorentina, three sizeable chicken pieces in an eggy batter and sauce. A side salad barely managed to mitigate the serious commitment to meat and sauce. I pressured for a macchiato - we weren't offered desserts by Nonna as we hadn't finished our mains. Afterwards, we ducked out of the rain to Hudson Bar and Books for cigars and cocktails. It may have been raining when we finished, but across the road was a short trip. Excellent Italian meal - perhaps not the finest I've encountered but up there with the best.